Two pioneers in health - Dr Deepak Chopra and Prof Rudolph E. Tanzi, one of the world's foremost experts on the causes of Alzheimer's - share a bold new understanding of the brain and a prescriptive plan for how we can use it to achieve physical, mental and spiritual well-being. In his bestselling books Ageless Body , Timeless Mind and Reinventing the Body , Resurrecting the Soul , Deepak Chopra reveals 'the forgotten miracle' - the body's infinite capacity for change and renewal. 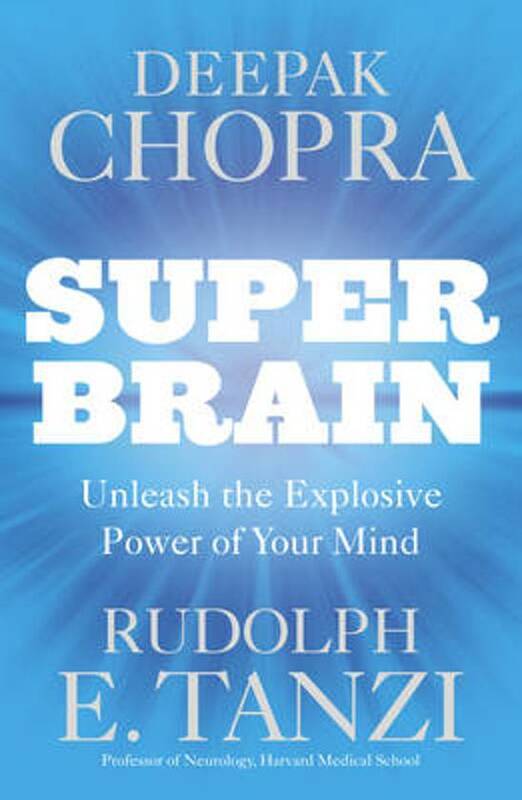 Now, Chopra focuses his attention on a part of the body undergoing intense study and radical reevaluation: the brain. No one is better able to share the latest breakthroughs in neuroscience than preeminent neurologist Rudolph E. Tanzi and, together, Chopra and Tanzi present a new vision of the brain together with a practical plan for how to use it to achieve higher levels of success and fulfilment. They contend that by using techniques and skills such as mindfulness, intention and meditation, we can create new neural pathways in the brain. Thus, we can transform it into our most powerful tool for achieving health, happiness and enlightenment. Een heel interessant boek. Ook vlot geschreven. Een aanrader.